The Millennial Money Man Blogging Club is Live! 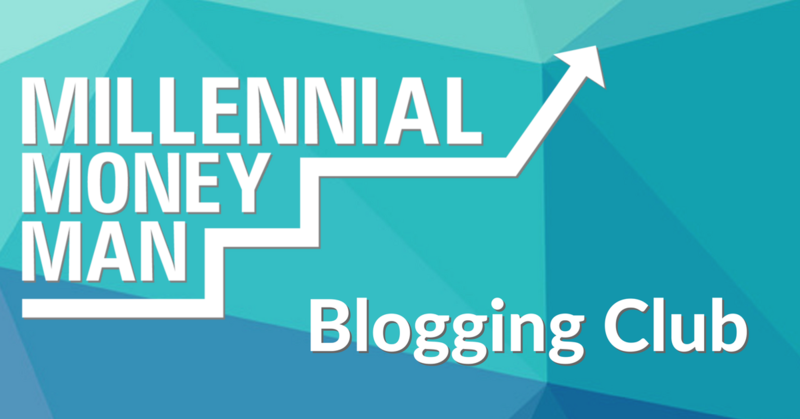 I'm sooooo stoked to share the Millennial Money Man Blogging Club with you today!!!!!! A few weeks ago I did a “soft launch” of this free private Facebook group, and it's been great so far! I've been able to directly answer questions for readers that have a blog or small business with an online presence and want to improve what they are working on. If you've been following this site for any length of time, you know that I'm just as passionate about working online as I am about personal finance. Being able to work from my computer has completely changed my life, and I'd love to help other people do the same. I've been super fortunate to be able to grow a great business in a really short amount of time. M$M had over 160,000 people on the site last month, and that doesn't even count all of the people I reach through my social media pages! In addition, I was able to make money pretty quickly with my digital marketing company after I quit my teaching job. I'm not really sure why…but this is just something I'm really good at. It looks like I'll do somewhere North of $200k in business this year, and I'm not even three years into being an entrepreneur. I used to charge $100 – $250/hour (yes seriously) to teach people the foundational techniques that I've learned about blogging and making money online. Now that the site is doing so well, I'm going to give a lot of that stuff away for free in this private Facebook group haha. I'm sure a lot of bloggers would call me crazy for doing that, but I'm a huge believer in giving tons of value to your readers up front and building real relationships with people. It's not just about selling all the time to me. That's just a little taste – there is so much to reaching people online! Marketing Monday – I share some of my best marketing tips each week! Technical Tuesday – Having problems with your site? Design questions? This is where you ask. Wednesday Wisdom – A thread for sharing any cool tricks or wins you've had with your site. Throwback Thursday – You can share one of your oldest blog posts here (and then I challenge you to update it). Flaunt It Friday – You can share anything you're currently working on with the group in this thread. Are you in the club yet? Joined it, and already getting some good use out of it. It’s definitely a good group for a blogger, and it’s nice to be part of both this group and the ‘regular’ one for more money talks. Yeah it’s been really cool to do both. Takes a lot of time, but definitely helps me get to know readers better and focus on exactly what they are looking for! Just joined, looking forward to getting into this. I started my blog in 2015, but struggled with consistency and getting it off the ground due to a resistance with sharing/socializing it in general. Looking to pick it up now and go at it the right way this time. This is a perfect group for me.